Avon Place Welcomes Girl Scouts and "Reading Buddies"
Avon Library “Reading Buddies “ braved the cold to visit residents on Pathways Saturday, January 26. 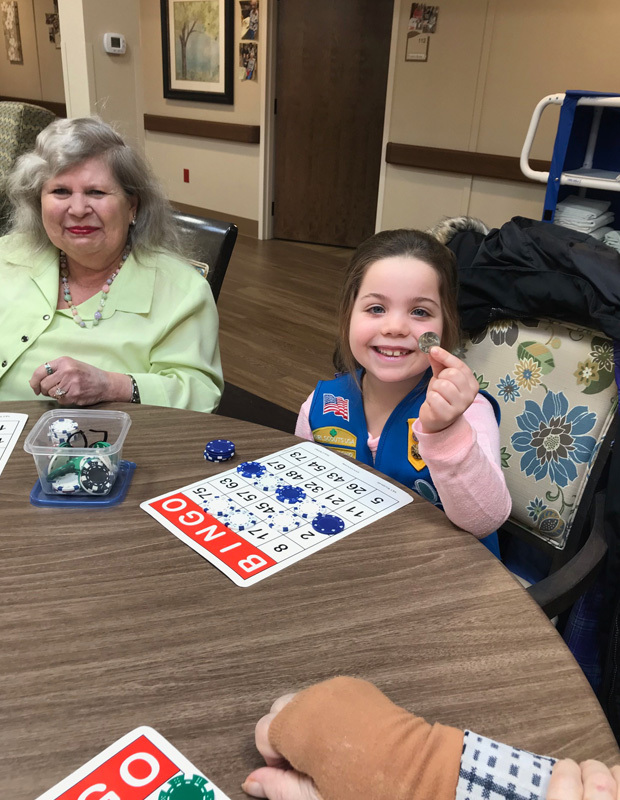 Girl Scouts & families read stories, made a craft & played bingo. We wish to thank Kelsey DeCoste & Library volunteers for providing this tremendous intergenerational at Avon Place.